Consider how the author's social situation affected his choice of subject matter. There are many paths to take when approaching a literary analysis paper. Novels, poems and plays provide numerous themes, characters and plots for you to examine if you’re ready to commit to the research. By engaging the text of your chosen story, you may even reconsider your own perspectives on life, society and your sense of self. 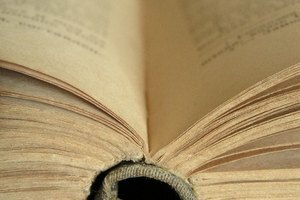 Discuss the ways in which the author’s life may have influenced the work of literature. For example, you can examine how Lewis Carrol’s religious affiliation and background as a logician and photographer influenced his famous works “Alice’s Adventures in Wonderland” and “Through the Looking Glass.” These kinds of topics will require some extensive research into autobiographical and biographical works concerning the author. Examine how historical events or social context influenced the book. For example, research how Erich Maria Remarque’s “All Quiet on the Western Front” examines the World War I from a German perspective. You can also compare the initial reception of the book to its current treatment by critics. You will find that certain works, including “All Quiet on the Western Front,” stirred controversy upon their original publication. If the work features reoccurring phrases, images or scenes, you can focus on how these elements add to the overall work. For example, explore how the frequent descriptions of the characters’ eyes add to the text of William Faulkner’s “As I Lay Dying.” Imagery analysis can become especially useful when you are examining a work of poetry. The characters are the heart of literary works, so choose an interesting character and examine his motives and maturation throughout the text. For example, you can write about how you believe the protagonists of Mark Twain’s “The Adventures of Tom Sawyer” develop as the episodic plot moves along. When dealing with allegorical works, such as Nathanial Hawthorne’s “Young Goodman Brown,” you can explore the symbolism behind the characters. If you’ve read other works by the same author, you can draw various comparisons between the works. For example, examine the similarities between the characters, plots and literary devices of William Shakespeare’s “As You Like It” and “Twelfth Night.” You can also compare works that explore similar themes, even if they don’t share the same author. 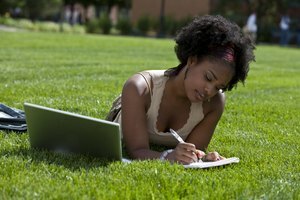 Purdue Online Writing Lab: What Kinds of Topics are Good Ones? Reid, Mitch. "Ideas for Literary Analysis Research Papers." Synonym, https://classroom.synonym.com/ideas-literary-analysis-research-papers-12116555.html. Accessed 21 April 2019.